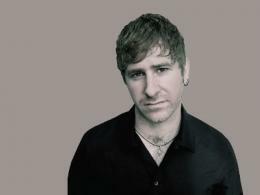 The DJ of the legendaty duo Gabriel&Dresden – Josh Gabriel, will rock the fans in the club Escape on January 17th. Despite the split with Dave Dresden, Josh Gabriel is still the man for whom fans filled the club to the brim twice already to hear him play. Gabriel&Dresden were leading performers at each major event. They’ve played alongside John Digweed, James Holden, Nick Warren, Danny Howells, Sander Kleinenberg, Anthony Pappa, Lee Burridge, Seb Fontaine, Victor Calderone, Tiesto, Armin Van Buuren and many others. Today, even alone, Josh Gabriel gets more buzz by the minute.